For more information please contact Caroline or email Enquiries or Bookings. 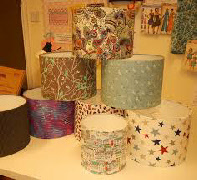 Learn how to make your own gorgeous 30cm drum lampshade. 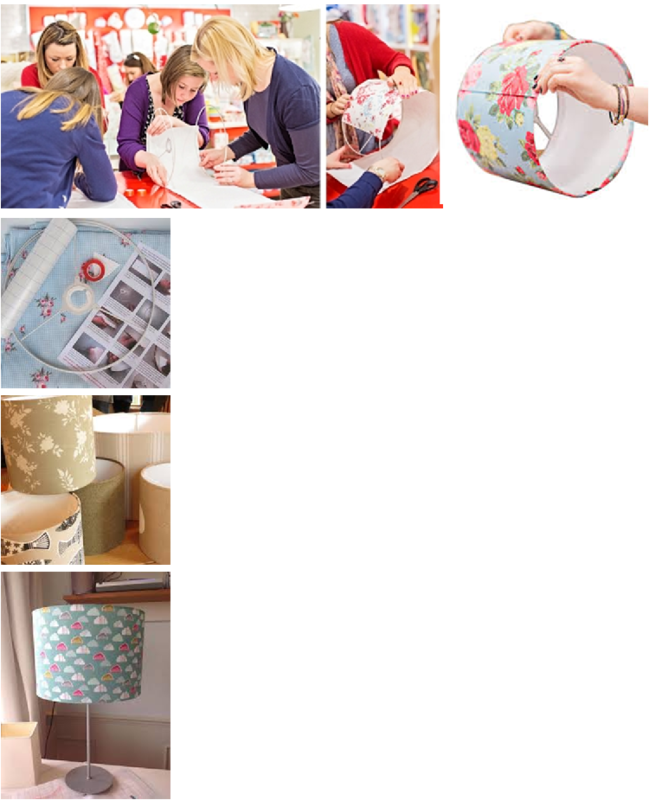 Everything you need to make your individual lampshade is provided in this popular 2 hour workshop. Suitable for complete beginners – no sewing required. Brighten up your home with a stylish shade suitable for a table lamp or ceiling fitting. Please bring ½ metre of your favourite fabric with you (1 metre of fabric if the design is large). A plain or printed cotton or linen works beautifully (nothing too heavy, textured or any embellishments please). A selection of fabrics will be available, please arrive 15 minutes before the workshop if you wish to purchase fabric. A selection of trimmings and further lampshade kits will be available to order. Cancellation: More than 7 working days notice full refund, between 2 and 7 working days 50% refund, less than 2 working days no refund (working days are Monday to Friday). If for any reason, Resumo need to cancel a workshop a full refund will be given.